Kiwi Pundit: Is Labour losing touch? Can its caucus deliver loyalty? Is Labour losing touch? Can its caucus deliver loyalty? Labour Party has been in the news for wrong reason. After some divisive actions within, we saw media hijacking Labour’s internal procedures, forcing the cart before the horse. Labour Party has succumbed to external pressures to sacrifice its common sense, and punished and pushed aside its previous leader before knowing the reasons for the Party’s dismal performance. Quite a few were because of external factors, including attack politics and, of course, Dirty Politics. After seeing the demise of sacrificial lamb on the altar of Labour leadership prematurely, I was invited to a ‘pocket” meeting called by Andrew Little in the process of getting yet another leader. As a new Labour member, I attended the meeting, and as a media commentator, I present a no-holds-barred observations. Rather than like other Indians and ethnic people, clutching to coat tails of MPs to climb up the list, I possess no political ambition. I am therefore happy just being KIWI PUNDIT and a Devil’s Advocate that Labour needs urgently. 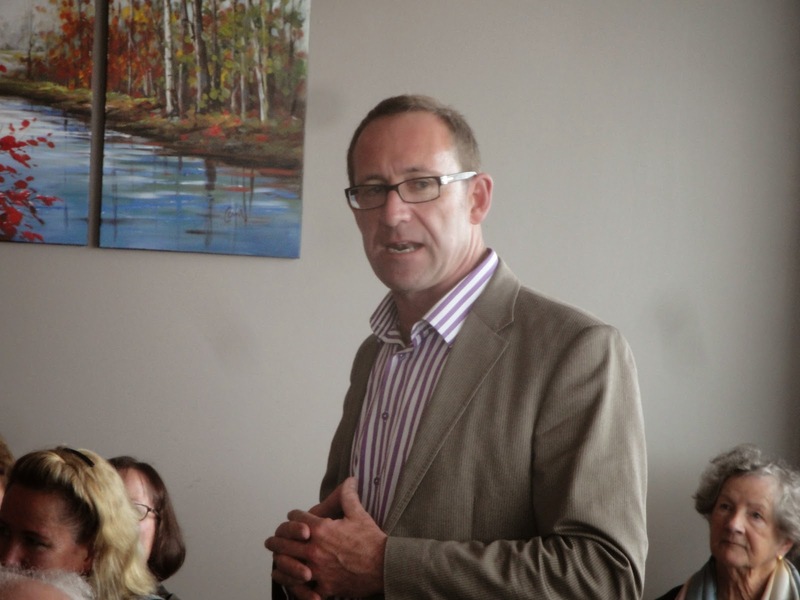 ANDREW LITTLE at the Servo Cafe at Te Atatu Peninsula on Labour weekend on 27 October, 2014, addressing the audience at an informal meeting. The policies he will re-consider are on Capital Gains Tax and retirement age to 67, among others. However the question that goes begging is: Can the new Labour leader expect loyalty from the caucus which failed to honour the previous one? I consider myself a left wing blogger for some years now - KIWI PUNDIT, (www.kiwipundit.blogspot.co.nz) counteracting negative comments that the Labour Office appears incapable of or ineffective in doing. I wrote many rebuttal articles and analysis of Dirty Politics in Kiwi Pundit blog site, sent e-mails to Labour office and some MPs, wrote so many Facebook comments and tagged people and MPs in Labour Party. However I never heard from them, from the Labour Office or was ever acknowledged by anybody. It seemed as if Labour Party has become colour-blind and I did not exist for them. It has been embarrassing for me when people in my community comment that I was backing the wrong horse, as they (Labour) would never acknowledge or value you. That may be true. That is how lethargic Labour machinery appears to be, and we are wondering why people have been voting with their feet. When I became a Labour Party member some months ago, I had given my expertise as media and communications, and on many occasions, indicated to Labour Party about their wanting and ineffective media strategy (assuming they had one). There was no response to take advantage of my expertise. They contacted me to go door-knocking. Maybe Labour Party still thinks Indians/Indo-Fijians are only good as taxi/ bus drivers and dairy /liquor shop operators and manual chores, even for Labour Office. Previous leader’s Chief of Staff seemed to have been sleeping on the job, while the leader perished. Having a relative as your Press Secretary is unhealthy, as the previous Labour leader learnt at his peril. Lackadaisical attitude appears to have been the hallmark of Labour Office as one after the other their stuff-ups and inefficiency surfaced as the new leader took over. 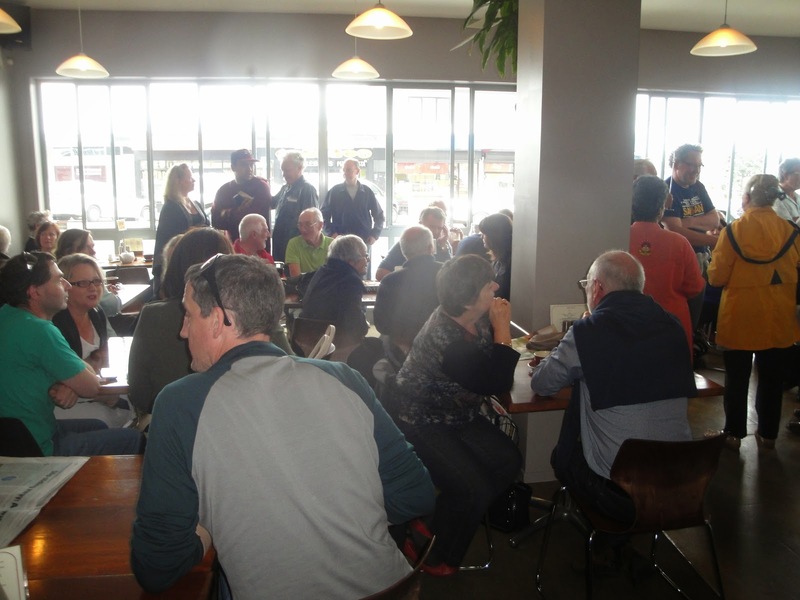 Hence, it came as a surprise when I got an invitation from Andrew Little’s office for a chat at The Servo Cafe, 458 Old Te Atatu Rd, Te Atatu Peninsula on Monday of the Labour weekend (27 October, 2014) for a pocket meeting. So, I went to this meeting, oozing with excitement to ask some questions and raise some issues. Who say Labour Party is not popular? A pleasant huge crown packed the Servo Cafe in Te Atatu Peninsula for informal meeting with Labour leadership candidate, Andrew Little. When I walked into the Café, I was pleasantly surprised to see it chock-a block. 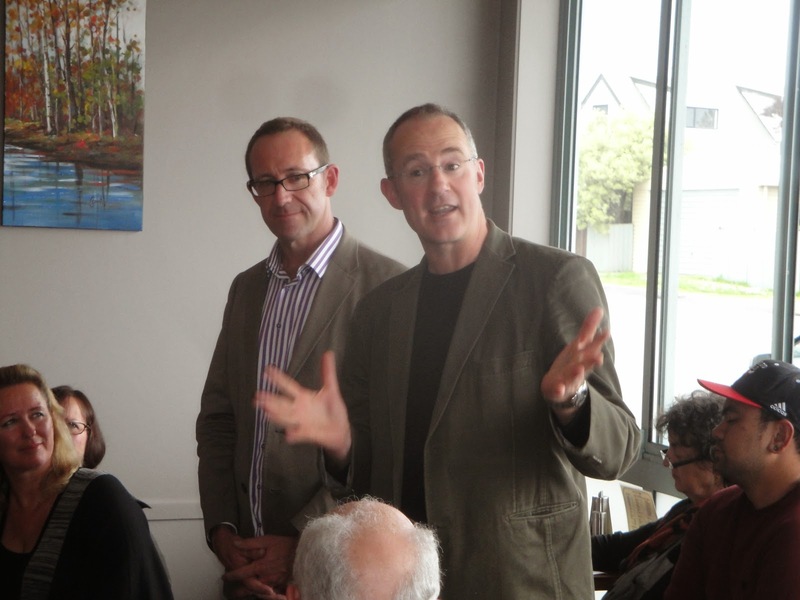 Even more surprised I was to see Te Atatu MP, Phil Twyford, who the media made us believe, supported somebody else. The other thing that surprised me was the absence of colour and diversity in an area where we should have had more ethnic supporters. The gathering resembled a National/ ACT meeting in Remuera. I, as an Indo-Fijian felt as the odd one out from almost 95% White supporters. If David Lange had called such a meeting, the venue may have been teeming with Indians, Pacific Islanders and ethnic people. Maybe, only members were invited, and it indicates a falling membership, and losing of colour within Labour. 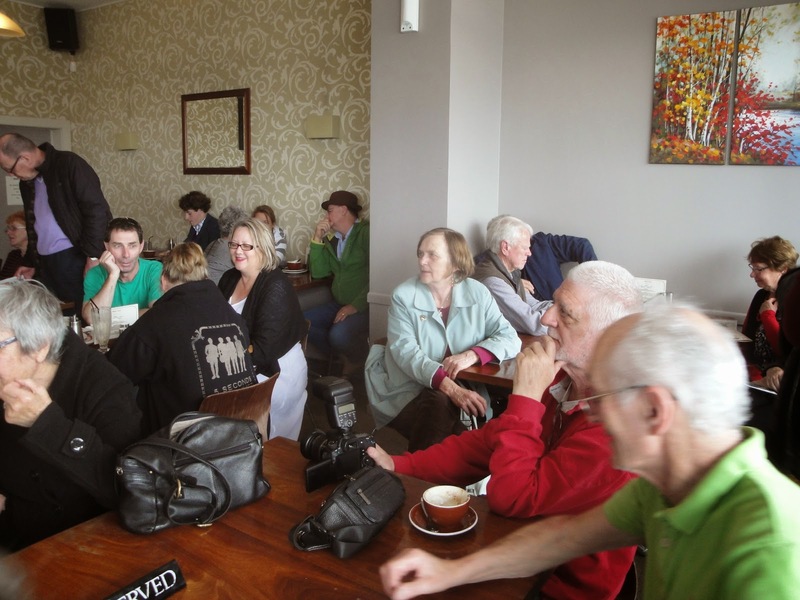 Does this resemble a Labour meeting in Te Atatu or National/ ACT meeting in Remuera? Where has all colour and diversity gone from Labour party? It was a good interaction, and Little appeared big. The question and answers saw good interaction, but one sore-point that became evident was COMMUNICATION, COMMUNICATION, and COMMUNICATION, or rather the lack of it. As a media scholar, my assessment is that Labour Party has a very wanting, ineffective and deficient communications, media and public relations cell. The questioning time was cut short and not everybody could raise issues they wanted to. Hence, on departure, I informed Little that I would raise what I was denied through my blog site, KIWI PUNDIT. “I am new to Labour Party, and hence a new face of diversity. I hope Labour Party will be able to retain me, as I love walking. My speciality is media and communications, but I never heard back from Labour Party for any help, despite many attempts to get their attention. The Party needs to improve on two things, firstly to inculcate diversity and efficiency in its administrative and support office. It has performed miserably, election campaign was very wanting, and an ineffective media and communication let the party down. It is one thing to have good policies (even bad ones), it is quite another to sell them well dressed for the market. Labour Party appears very weak in this field, and the previous leader failed to listen to my caution, at his peril. 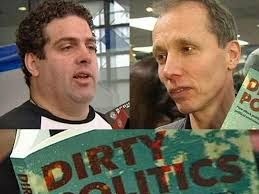 Dirty Politics - the book and National Party's strategy of attack politics, reportedly headed by Whale Oil blogger Cameron Slater (left) and revealed by author Nicky Hager (right) is not dead. Despite assurance that Labour has a team looking after this issue, it is the Green Party which is stealing thunder from Labour. No publication or analysis on this is seen from Labour while this blog site, KIWI PUNDIT has presented a five-part series of articles on this issue. Dirty Politics, how many of you have read, comprehended and appreciated it. National’s smear campaign and attack politics over some years have paid dirt by demise of Labour’s three leaders: Goff, Shearer and Cunliffe. The smear campaign and throwing mud over the years and months, saw some hitting target, and hence the negative perception. No need to re-invent the wheel: KIWI PUNDIT has already done a five –part analysis of this, and is available to Labour Office if they will care and acknowledge that a non-White person can also write. Little informed that Labour Party has a team looking into this, but Greens appear to be stealing the thunder from them. Again, somebody is sleeping on the job. NZ Herald is wrong again? Te Atatu MP Phil Twyford addressing the audience and "Chaired" the informal meeting. Herald had named Twyford supporting another leader candidate. Wonder what is the real story. These questions would themselves have provided answers to a review on performance, which should have come BEFORE the leadership battle. Media seems to be running the administration of Labour party, and they hounded them into putting the cart before the horse. And the Party was weak to succumb to such external forces, which also added to its dismal performance. Whether I also vote with my feet like other ethnic people will be determined by how Labour Party recognises, acknowledges, and utilises the expertise of somebody honest enough to point out the weaknesses and flaws within.